The Growth Loan Fund is managed by Braveheart Ventures Limited which is authorised and regulated by the Financial Services Authority. 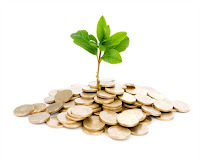 This fund provide loans to established SME companies seeking access to growth finance. Whilst a positive trading history is desirable, where this is not evident businesses should be able to demonstrate a recent return to profitability with a clear plan to build on this. Loans will be between £50k and £500k per transaction, over a maximum 5 years with repayments on monthly amortising basis (ie capital and interest). In the current economic climate it’s harder than ever to get a bank loan or funding to invest in business development or business growth. Businesses are faced with lower levels of grant availability and more stringent lending regimes. The combination of this means it is often harder for them to finance growth. Invest Northern Ireland has put in place a £100m Access to Finance Initiative to ensure that companies with high growth potential are not held back because they cannot access finance. Through the suite of funds Invest NI will be able to offer a continuum of funding for business seeking between £1k and £2m. Construction businesses wishing to tender for contracts will need to meet new requirements from January 2013.